“An Introduction“. Trust me on this; I will have many more posts about the topic of bullying, especially because it remains so prevalent in our school and society as a whole. But I wanted to give a basis of what bullying is and its different types, some which we may not necessarily recognize at first as bullying. 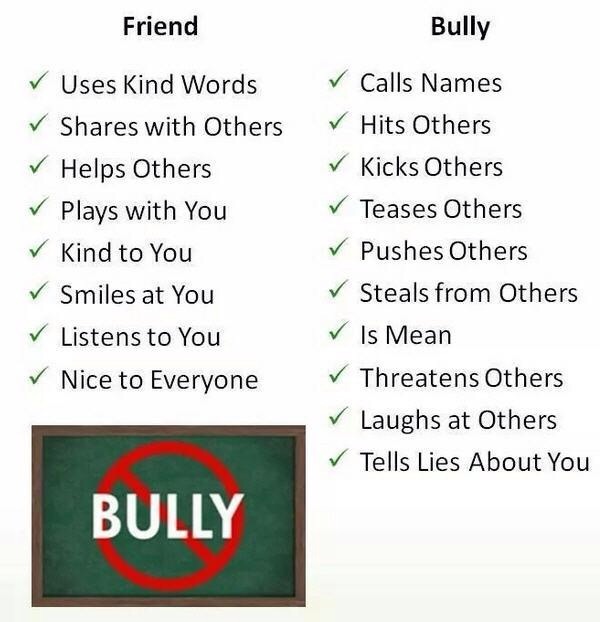 There are numerous types of bullying. 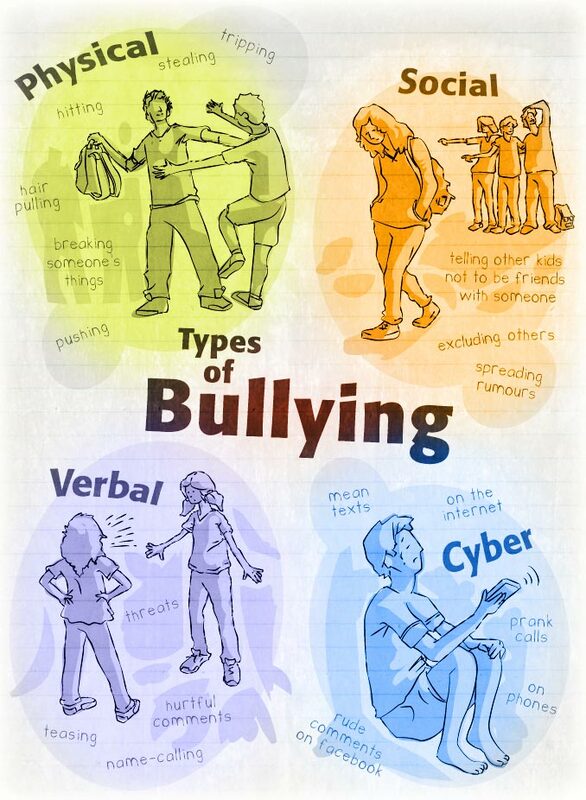 The image below presents the four main types of bullying, experienced by children: Physical, Social, Verbal, and Cyber. I’m sure most of us have experienced some type of bullying at one time or another in our lives, but just how many report being affected by the different types of bullying? As someone who has been bullied, I am very passionate about this topic and I will continue to research ways to remove bullying from the lives of my future students.